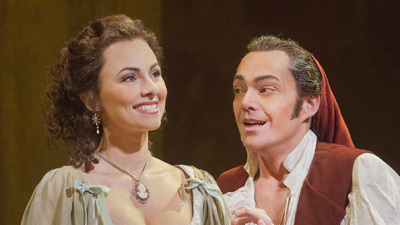 Diana Damrau is the feisty Rosina, a young woman who knows exactly how to get what she wants—in this case, the handsome Count Almaviva (Colin Lee), who happens to be just as enchanted with her. 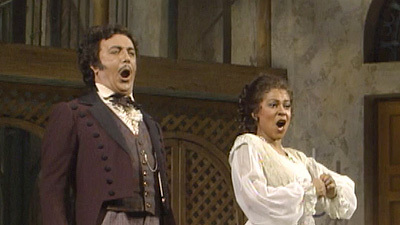 But Rosina’s guardian, the old Dr. Bartolo (John Del Carlo), has other plans, and it is only with the help of the wily barber Figaro (Rodion Pogossov) that the lovers are united. Ferruccio Furlanetto is magnificent as the dour Don Basilio, and Marco Armiliato conducts Rossini’s immortal score.